TransUnion examined the delinquency spread between mortgages and credit cards over the past decade. 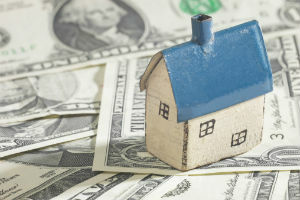 To determine how great an impact housing prices had on the rate of payment of credit cards versus mortgages, TransUnion examined the delinquency spread between mortgages and credit cards over the past decade, and compared that spread to the Standard and Poor’s Case-Shiller 20-City Home Price Index (HPI). For instance, if the 30-day credit card delinquency rate was 1.50 percent and the 30-day mortgage delinquency rate was 2.25 percent at a given point in time, then there would be a 0.75 percent spread between the two variables. The credit card-mortgage delinquency spread “flipped” in December 2007 in Los Angeles, meaning that was the point at which more consumers in the study were going delinquent on their mortgages than on their credit cards. This pattern continued through the end of the study in December 2013, with the delinquency spread essentially remaining the same. In contrast, Dallas experienced the reversal in payment patterns much later — beginning in June 2011 — with that reversal only lasting through September 2012.